Good grief. I bought frozen pizzas to have for dinner tonight. I took it out of the fridge and went to turn on the oven. I completely forgot the thing isn’t working. Now I’m bummed because I really wanted to eat this pizza. I made these babies (haha, get it, babies, diapers). I found this recipe for Dirty Diapers and thought they were a cute idea. The recipe I found is more for a slider type appetizer, so I adapted it and made it taco-ey because we live in the southwest. I was in a hurry to bring these to a Girl’s Night Out, so the pictures were rushed, but you can definitely get the idea of what I was doing. In a skillet over medium high-heat, place ground beef. 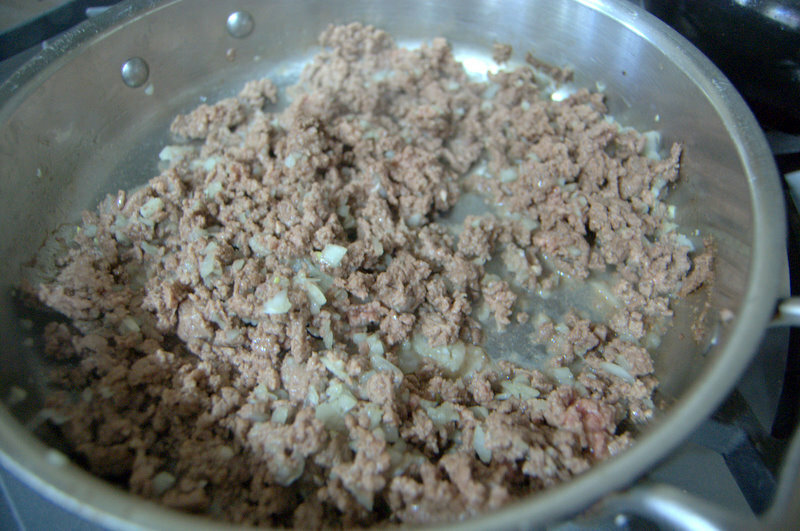 Cook until beef is no longer pink and crumble while cooking. Add taco seasoning packet and 1/2 cup of water. Stir to thoroughly combine. 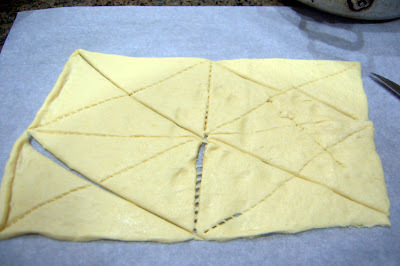 Cover and simmer on low while preparing crescent rolls. On a piece of parchment, unroll crescents. You can also do this on a clean surface. 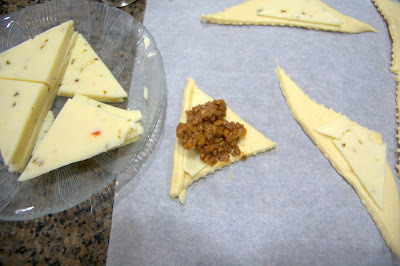 I just found it easier to do on parchment so they wouldn’t stick and I would have less clean-up. 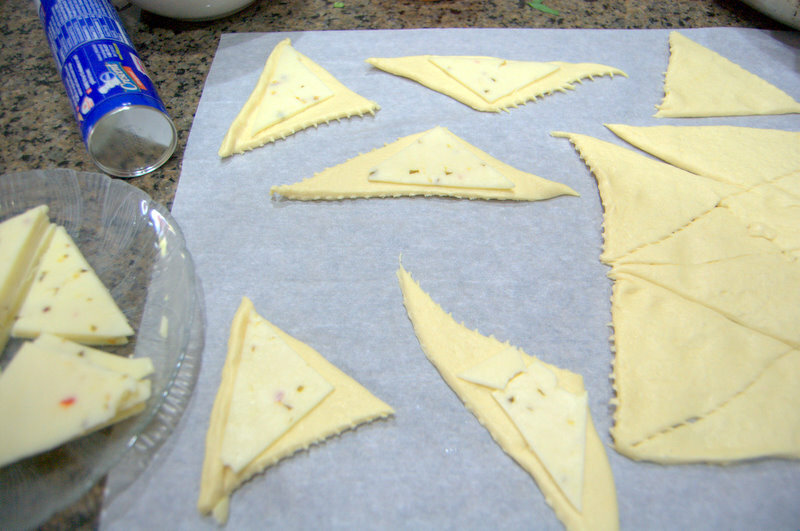 Separate the triangles and cut each in half diagonally to make two smaller triangles. Stack the slices of cheese and cut them diagonally so that there are 4 piles of smaller triangles. Place one triangle of the cheese onto a crescent triangle. 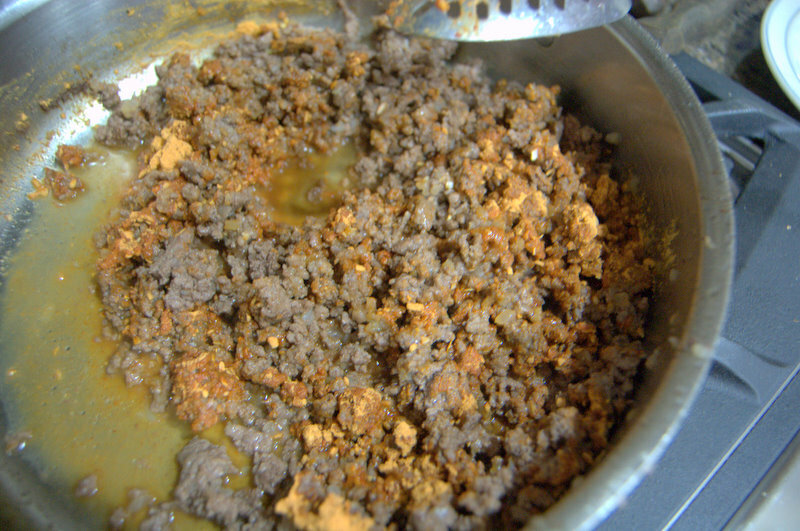 Place about 1 1/2 -2 teaspoons of ground beef mixture on top of the cheese. 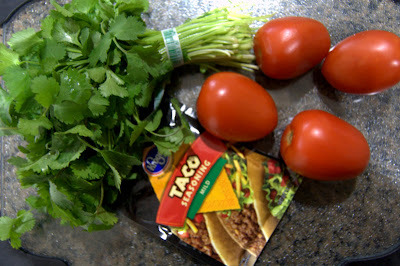 Put a few pieces of chopped tomato on top and sprinkle with some cilantro. 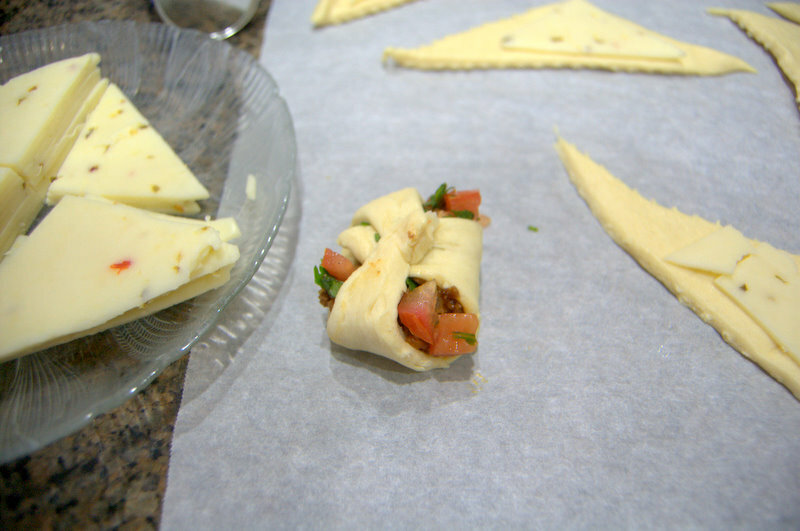 Fold the points of the dough over to the center so that it wraps up like a diaper. 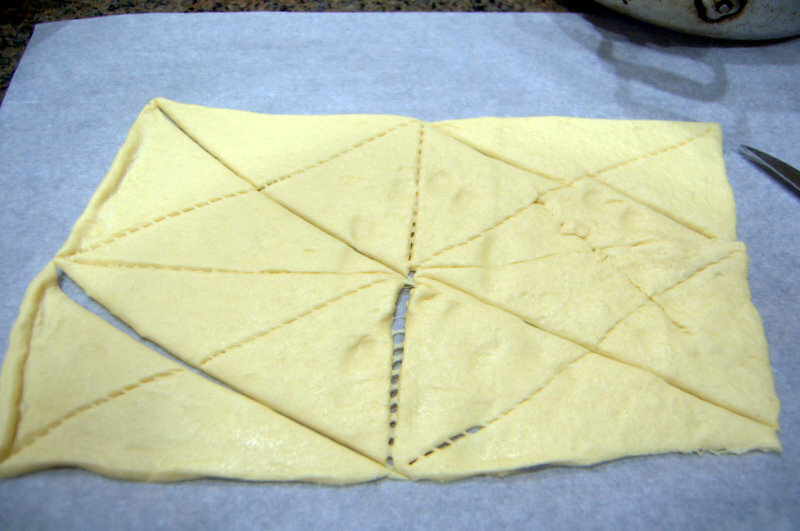 Bake for 10-15 minutes, rotating sheet halfway through baking, until golden brown. I rate everything I bake on a scale of 1-4 with 4 being the best and these Taco Pockets or Dirty Taco Diapers earned 3 1/2 rolling pins. 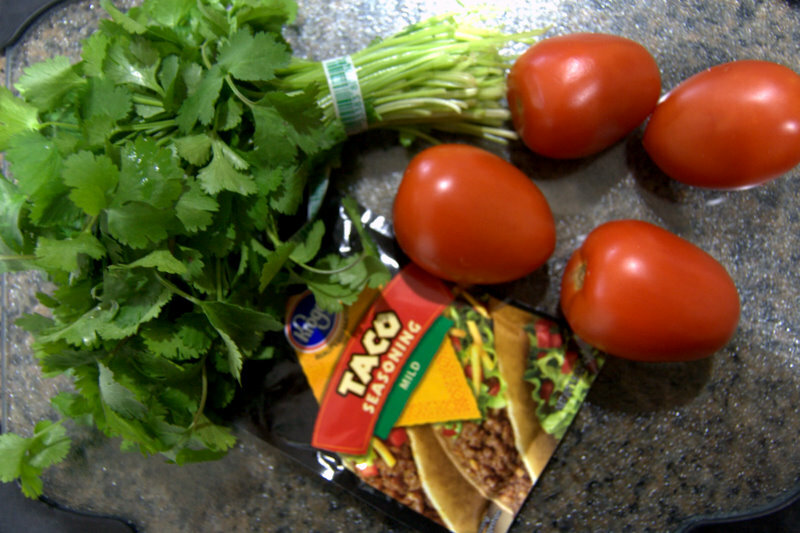 These are sure to be a hit if anyone loves tacos. 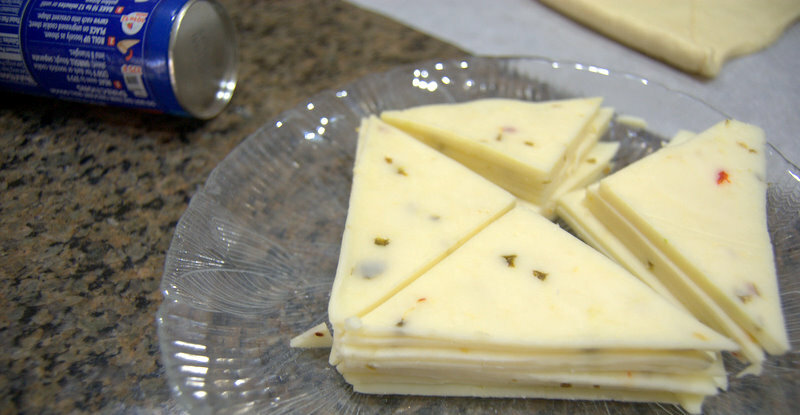 These things are compact, but pack a lot of flavor with the beef, and pepper jack cheese. The tomato and cilantro were great additions, too. I think the thing that’s only holding it back from being a 4 is that I should have served them with some sour cream or Greek yogurt. Love this idea! 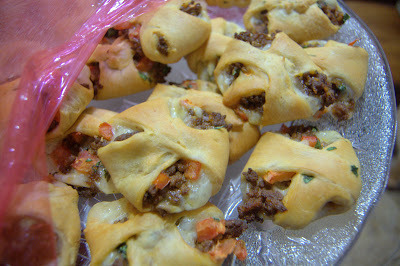 Definitely making these. Super like !! Thanks for your lovely sharing and I can make this on valentines day !